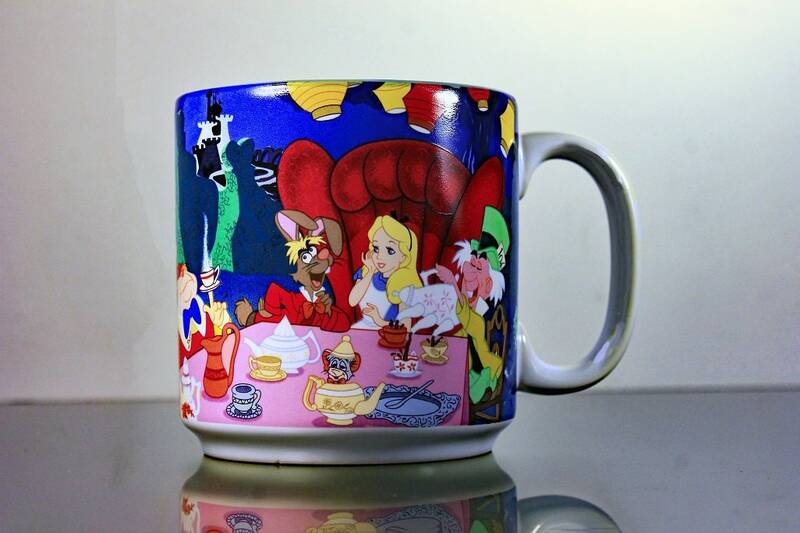 A fun vintage Disney mug featuring Alice In Wonderland. 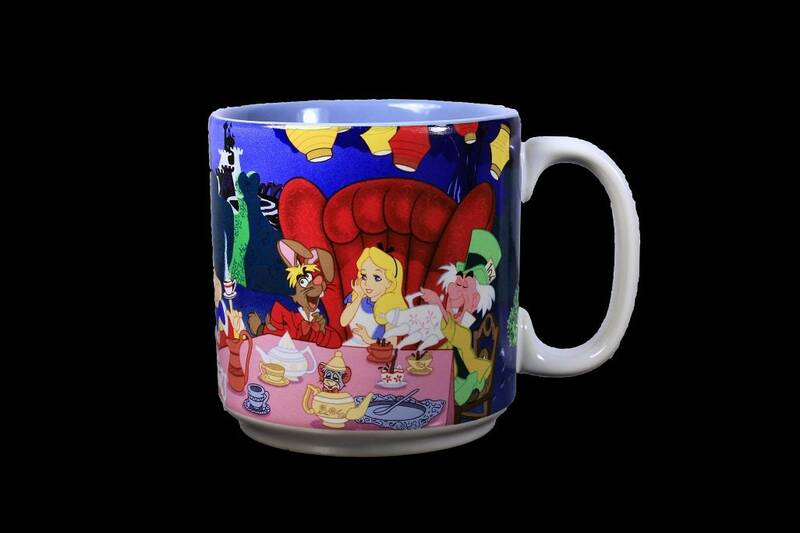 This mug has Alice and all the loveable characters from Wonderland at a tea party. 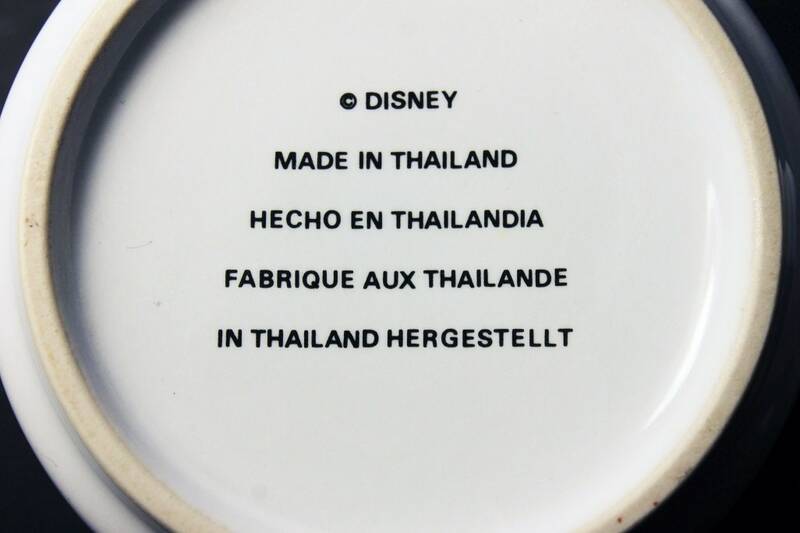 The inside is light blue and the handle is white. 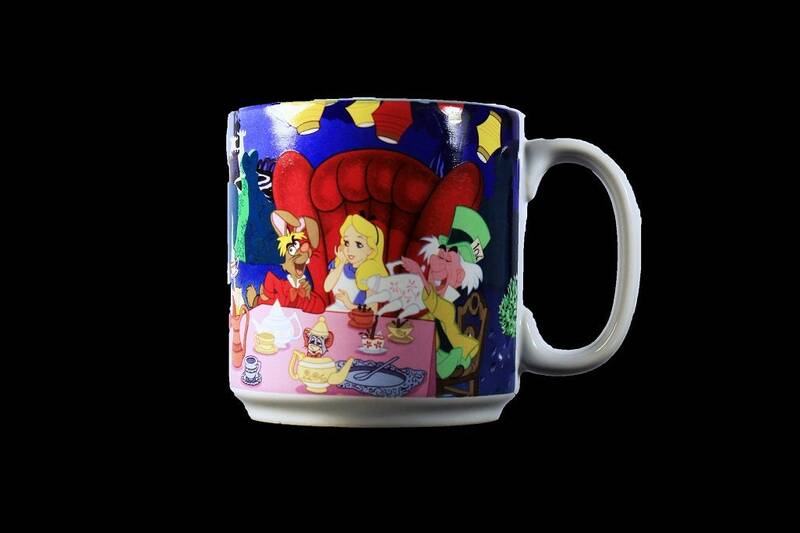 What a great gift idea for a Disney or an Alice In Wonderland fan. 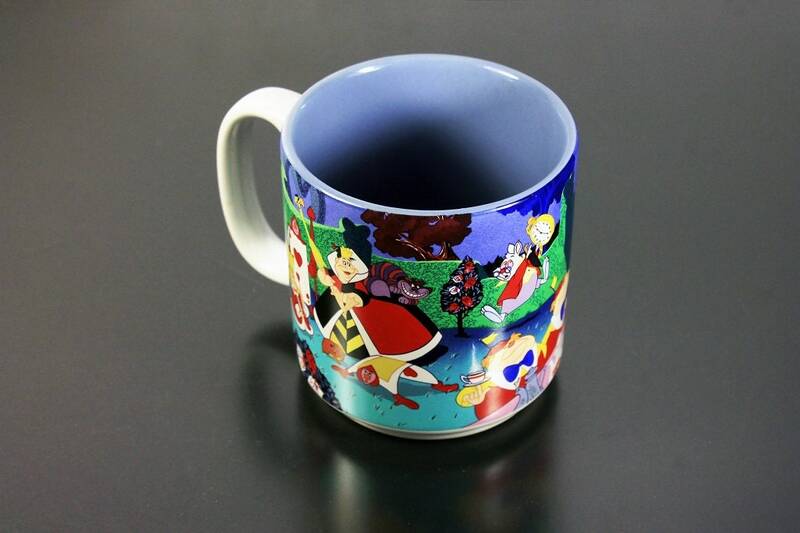 A great collectible. 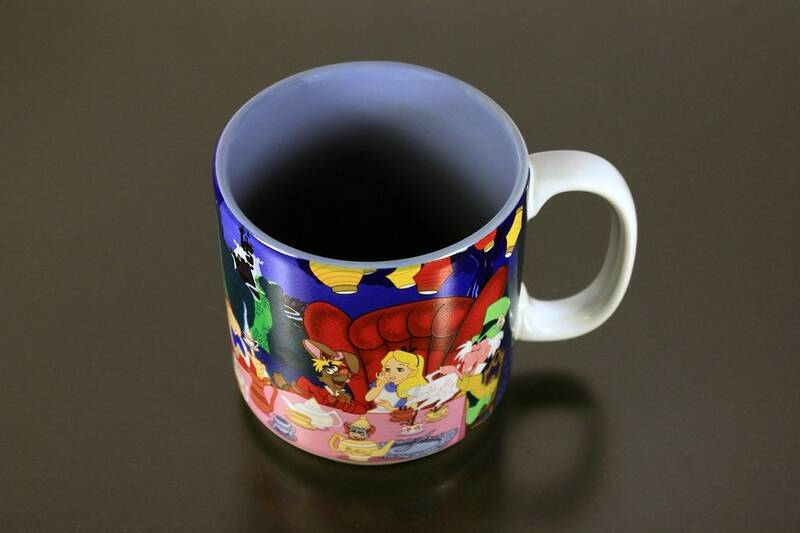 This mug is in like new condition. There are no chips, cracks or crazing. 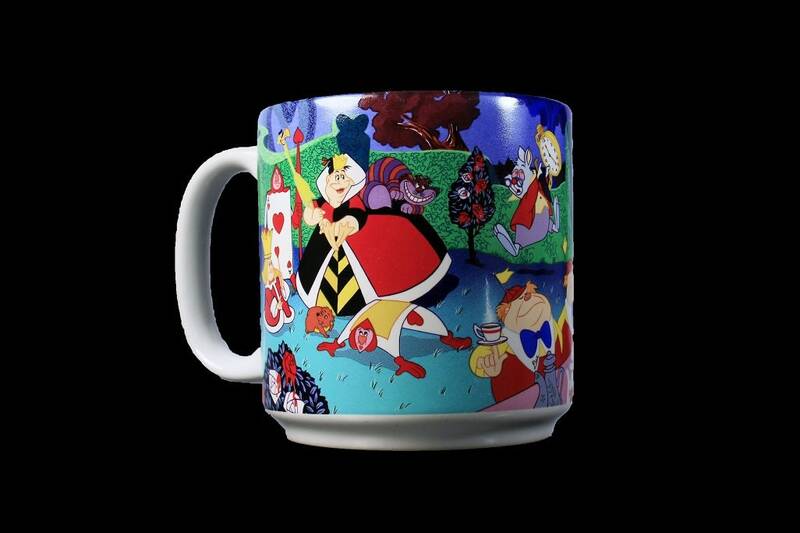 This would be a great gift idea for a birthday, holiday, or other special occasions.